POLSON – A 53-year-old man with 10 DUIs was sentenced to 10 years in the Montana State Prison last week for violating his probation. Harlan Gerald Vaska of Missoula was sentenced by Judge Kim Christopher. Prosecuting attorney James Lapotka said Vaska was cited for engaging in a bar fight. A court record reflects that Vaska got into a fight in a Pablo bar on Feb. 10 and that he said he consumed a six pack of beer. Licensed addiction counselor Shari Rigg of Missoula testified for the defense in court on June 22 and said she’s worked with Vaska for two years. Vaska got his first DUI when he was 16, she said. Vaska does OK when he’s working, she said, and noted that he has a seasonal job with the Bureau of Land Management. 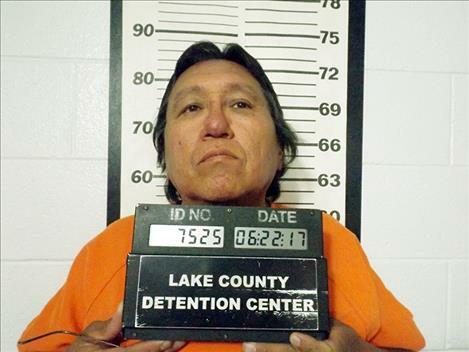 Vaska suffered a head injury when he was hit by a car, Rigg said, and recommended he get a neurological exam and treatment at Crystal Creek Lodge, a culturally-based chemical dependency treatment center in Browning. Lapotka asked for a nine-year sentence in the Department of Corrections and said Vaska also has two convictions for criminal possession of dangerous drugs. Defense attorney Ben Darrow asked for a suspended sentence with additional conditions, including a neuropsychological evaluation and completion of a cultural treatment program. Vaska was sentenced to 15 years in DOC with 10 suspended on Dec. 8, 2010, court records state. “It’s time for you to be held accountable and punished,” she said.